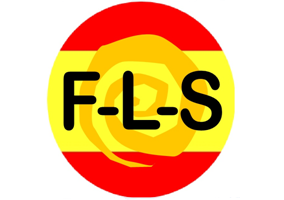 Interested in taking an independent learning Spanish course but not sure which is the best for you? See our Spanish Courses reviews below to help you decide. In actual fact all three of these courses are top quality and if you are serious about developing your Spanish, you should consider studying all of them. They are less than a hundred pounds each and phenomenal value for money. Learn to speak, read and understand Spanish with Rocket Spanish, while having fun in the process! If you are looking for a leading Spanish learning course, we can confidently recommend Rocket Spanish which has been used by over 300,000 students throughout the world. Try their FREE 6 day course with absolutely no obligation by following this link. On each lesson there is an audio on computer or downloadable MP3 format. There is also a full transcript of the audio narratives displayed online and downloadable in PDF format for storing in your own personal files. There is a superb practice facility called Rocket Record, which has audio comparison software, a special facility where you can listen to the Spanish and see the audio wave, then record yourself and compare both audio waves! There are also self tests to measure progress and extra exercises to consolidate knowledge gained. Finally there is a special Notes section to allow you to record anything else you may want to keep as notes for the future on each of the topics. For each of the topics in the Interactive audio lessons, there is a background language, grammar and culture lesson to provide a solid grounding in the subject. Again there is a transcript and audio of all the lessons online and downloadable, and the Rocket Record audio software facility to improve your pronunciation. There is also the My Level self tests on progress and Notes section for personal notes to keep. Rocket Spanish have brought some Fun Learning Spanish into their course with a series of downloadable games called MegaSpanish. Each of the games helps to improve your Spanish in different ways. They are really easy to play and provide immediate feedback. You can dip into these games at any time at your own pace, and repeat any game in the future to try to better your scores. The games are in 3 main sections to deal with verbs, vocabulary and audio. Overall the Rocket Spanish course really does take some beating, you will learn an immense amount of Spanish using their method. Why not try their 6 day FREE course with no obligation? Learn To Speak The Real Spanish You'll Never Find in a Textbook or Classroom! 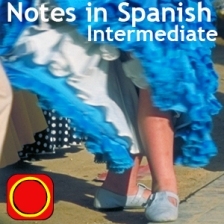 Notes in Spanish is a top class learning resource created by Ben Curtis and Marina Diez who live in Madrid. They have put together a comprehensive range of audio, video and written resources for all levels of learners. There are 30 podcasts in beginners, 46 in intermediate, and 96 advanced. These are all downloadable free of charge. The emphasis in NIS is to assist the learner develop an authentic knowledge of the real Spanish you will not find in the normal textbook. The course starts with relatively straightforward conversations and content in the Beginners audios. These include a whole range of useful topics like: greetings, family, shopping, summer, Christmas, football, music, the city, and many more. For each of the 30 topics there are quality PDF transcripts, key vocabulary and grammar, helpful exercises and their answers. The Intermediate podcasts are definitely more advanced and deal with another whole range of issues such as: climate, tapas, holidays, love, royal family, solar panels, mafia, facebook, Easyjet, cinema, etc. They follow exactly the same format with transcripts of all the audios and support vocabulary/grammar and exercises. The 96 advanced topics include interviews and conversations which can help take your Spanish to a really high level. Again the format is the same as the other levels with an excellent support notes, language and exercises. Marcus Santamaria has done a first class job with Synergy Spanish in creating an attractive and efficient course for quickly learning some very useful basic Spanish. Synergy means the sum is greater than the parts, and this course is built on that principle. Marcus has identified 30 key verbs which he calls Synergy Verbs because when combined with other verbs, they make powerful combinations and hundreds of sentences. He introduces 44 of these other verbs which he calls Brick verbs. To these popular 74 verbs he adds 64 linking words which he calls Mortar words, to create the potential of thousands of sentences! 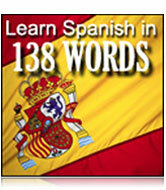 Thus 138 words enables anyone to master a good level of Spanish communication. The course also uses other tools which allow even more mastery of the language. The first is Mnemonics which is a memory aid to learning, and in this course, makes a link between the Spanish word you want to learn and the English translation. The technique is to create a picture in your mind, which means your imagination brings your creative right side of the brain into play, and thus you learn fast. They work best if the sound of the Spanish word is similar to the sound of the English. So Mnemonics give a mental link to the sound of Spanish words.The next tool used is to start each lesson with listening to and understanding some Spanish, using words learned in previous lessons. This gives you a sense of how to put Spanish together correctly, and how to express yourself easily and naturally. In addition to speaking Spanish, each lesson has written exercises to consolidate your skills. There are also useful hints on how to make yourself understood when communicating in Spanish. These hints are called Communication multipliers which are short simple explanations of typical Spanish structures. These can easily be learned and used quickly in your speaking. Another practical technique is the use of Accuracy Pointers. These are explanations of the difference between English and Spanish, so that you can speak accurately right from the start. To accompany the course there are around 100 excellent audio lessons to allow you to build your confidence and skill in speaking Spanish. These fully utilize the Synergy and Brick verbs and Mortar words to allow the construction of an enormous number of sentences and expressions. I (Mike) have been listening to Synergy Spanish over the last few years, and it has really added to my speaking fluency. It is modestly priced and incredible value for money.